Marshall McLuhan’s interpretation of the Gestalt concept of figure and ground is shown through four vividly distinct and culturally diverse examples in the CONTACT Primary Exhibition: Dynamic Landscape, which opens tomorrow, April 29, in the main space of the gallery. As I mentioned in my last article, the theme for this year’s CONTACT festival was inspired by comparing the insidious visions of environmental devastation in Burtynsky’s Oil, to McLuhan’s vision of the “figure” as the car, and the “ground” as the abundant yet often forgotten accessories to car culture. While the “grounds” in the pieces in Dynamic Landscape all differ geographical and contextually, they are all intrinsically defined by their human inhabitants- visible or not. Curated by CONTACT Artistic Director Bonnie Rubenstein, the show is comprised of four international artists: Olga Chagaoutdinova, Scarlette Hooft Graafland, Viviane Sassen, and Dayanita Singh. Olga Chagaoutdinova gives us richly coloured, over-inhabited interiors in the contrasting climates of Cuba and Russia. 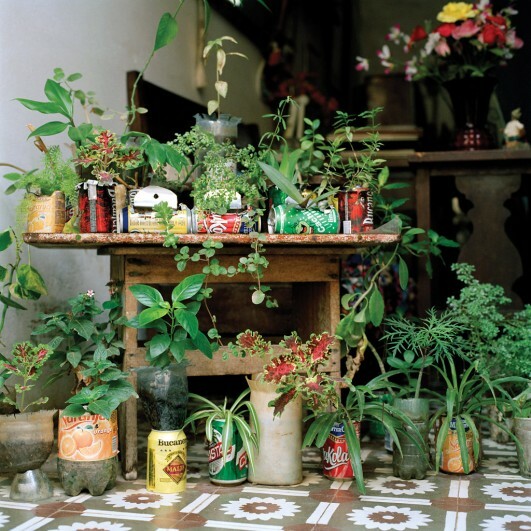 The moods of the Cuban interiors are familiar to anyone accustomed Polidori’s Havana series. Peeling paint, repurposed materials and missing tiles are repeating motifs in these sometimes near-decrepit living spaces. Even tiny spaces are filled with plants that call to the heat of open-doors. The warm blues and greens from the Cuban interiors are repeated in the decorative motifs of natural landscapes within the Russian spaces. 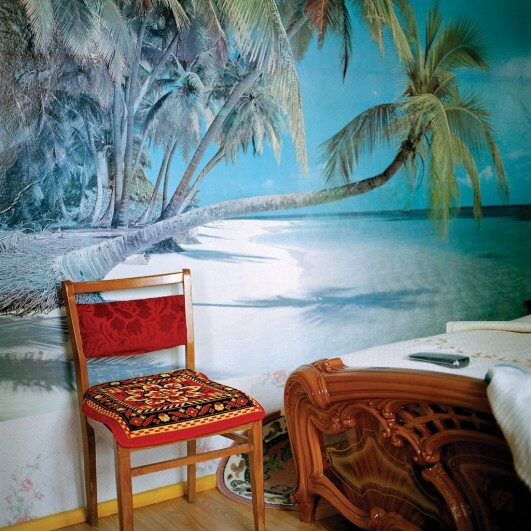 In Chair at the Beach in the Bedroom, a traditionally upholstered chair sits in front of a photographic wall mural of a tropical beach scene. 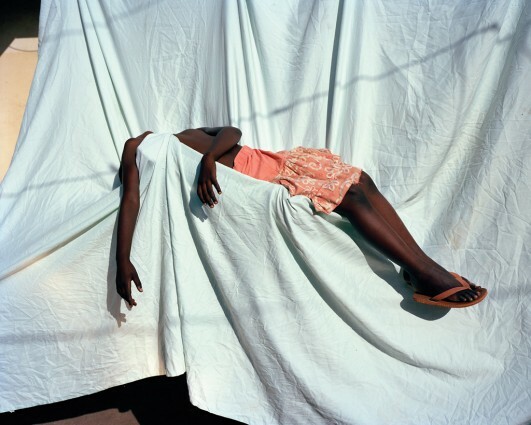 Viviane Sassen takes us across the globe into an unfamiliar vision of Africa. Parceled glimpses of deep earthy browns are contrasted by ultra-synthetic technicolours and starched whites. Gestural dramatizations evoking pieta flood the figures in her photos with emotion, which would have otherwise been starved due to their hidden faces. 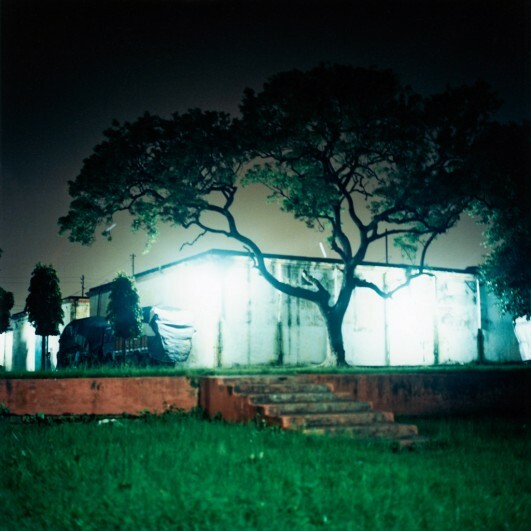 Dayanita Singh’s series Dream Villa, takes us to a village in India. While the skies are dark, aggressive pools of artificial light pierce the warmth of the night-time imagery with cold reflecting hues. The stark lights seem an alien presence that conjure feelings of disquietude. Dutch artist Scarlett Hooft Graafland portrays images of our own true North. An avid traveler, Hooft Graafland was attracted to the idea of visiting the Canadian north from slides shown in class by a high-school teacher who had spent time working there. On her own journey, she spent four months in Igloolik, Nunavut living with local families to immerse her understanding beyond that of the outsider who understands that the people and their lands are in danger. The themes of environmental degradation and cultural extinction appear in stunning portrayals of the northern landscape. At times, Hooft Graafland steers away from the over-politicization of her work by adding absurdist elements of humour. Sitting amidst the stark blue and white landscape, the artist is draped with the hide of a polar bear. Reminiscent of Marcus Coates shamanic escapades dressed in deer-hide, the message behind the image is impossible to ignore, but the humour adds a palatable lightness. In Lemonade Igloo, a lone figure leans agains a rusty toned Igloo. 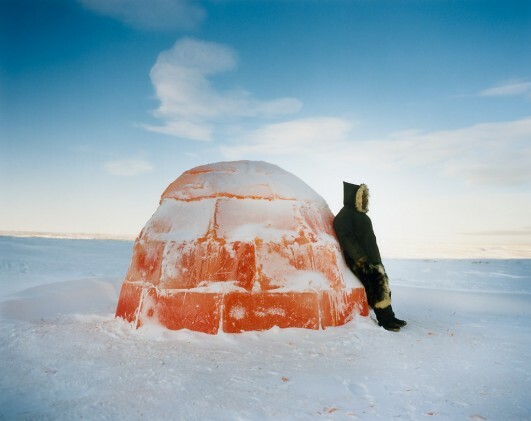 The artist explains that she wanted to construct an Igloo out of a commercially popular drink to underline the generation divide and the gradual loss of cultural traditions. The deep reddish hue of the Igloo seemed appropriately reminiscent of blood, especially as it is hung on the same wall as a gruesome portrait of a palm tree composed of entrails. Dynamic Landscape is one of the six Primary Exhibitions for this year’s CONTACT festival. It’s always a good party at MOCCA, so don’t miss the opening tomorrow between 7-10. The show runs until June 5 alongside Fred Herzog’s photos of Vancouver in the 1950’s-1960’s, organized by the National Gallery of Canada and the Museum of Contemporary Canadian Art. 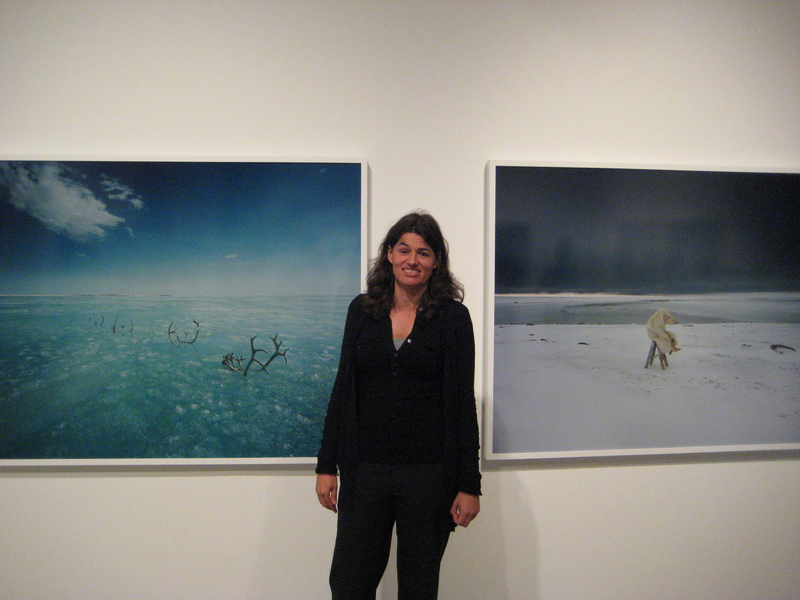 Scarlett Hooft Graafland will be speaking about her work this Sunday, May 1, between 12-1 at MOCCA, followed by insights into her photographic and video works offered by Olga Chagaoutdinova between 1-2 pm.